Lourie’s men’s store, Columbia, S.C. 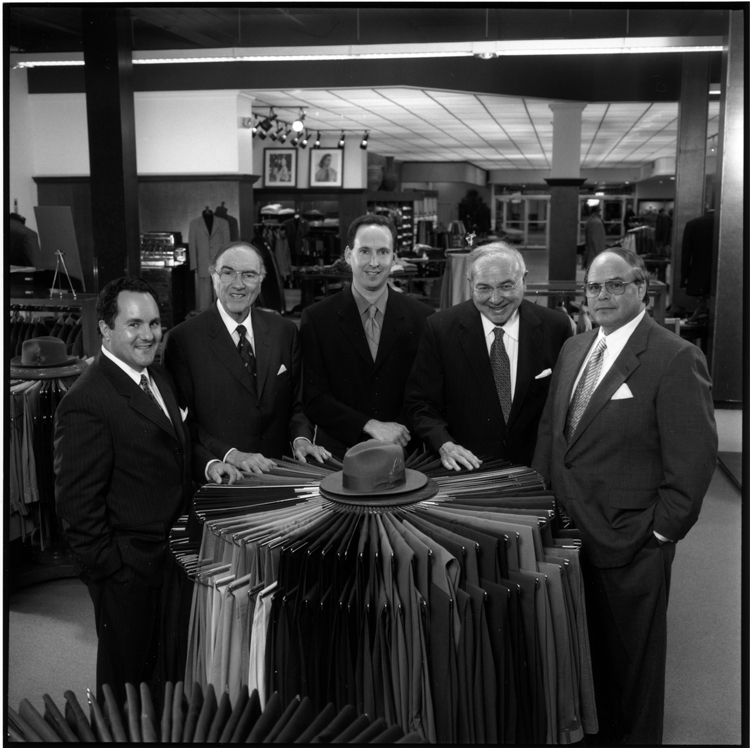 Founded in 1912 in St. George, Sourth Carolina, Lourie’s moved to 1437 Main Street in Columbia in 1948. Left to right: Louis, A.M. (Mick), Joel, Isadore, and Frank Lourie.